David Dunbar Buick, a Scottish immigrant to the U.S., started making gasoline engines in 1899 and built his first car in 1902. He incorporated the Buick Motor Company in 1903, which was taken over the following year by William Durant, later the founder of General Motors. By 1908, Buick was producing about 8,000 cars annually, more than any other automobile manufacturer. Buick pioneered the overhead valve engine and started a racing team featuring Louis Chevrolet. Early racing successes and a growing reputation for reliability solidified Buick's role in the racing world. It became the first brand in the General Motors stable in 1908. By the mid-1920s, Buick was producing more than a quarter-million cars a year, but its sales slumped early in the Great Depression. In 1936, however, stylish new models conceived by GM design chief Harley Earl revived Buick's popularity. During World War II, Buick built aircraft engines and military vehicles. Buick sales boomed during the 1950s heyday of big, stylish American cars. In the 1960s and 1970s, Buick introduced smaller, lighter, more innovative cars powered by V6 engines. In the 1980s and early 1990s, Buick again emphasized racing and competition, building engines for the Indianapolis 500 and performance cars powered by turbocharged V6s, especially the 1987 Regal GNX muscle car. Buick continues to be a mainstay of the General Motors Corporation today. Picture the late 1980s. The horsepower wars of the ‘60s and ‘70s had given way to emissions controls, and horsepower was down across the board. Front-wheel drive was taking over, and Buick’s Regal was about to go that route. The old rear-drive chassis was a lame duck, but how to send it off with a bang? Buick’s engineers worked up a completely unexpected masterpiece for the Regal’s final year before the switch, producing the GNX, a true muscle car built decades after that genre had gone the way of the dodo. 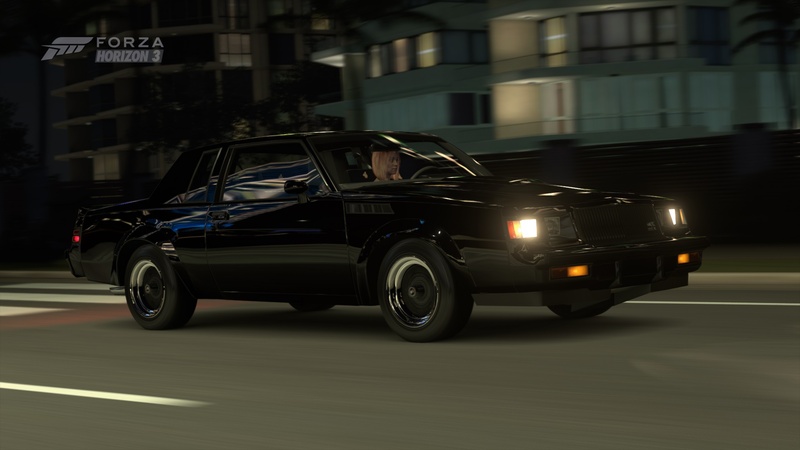 As if dipped in a vat of deep black paint, the GNX is entirely blacked-out and looks ominous. And while Buick’s quoted power figures look good on paper, if you took the GNX to a dragstrip you would quickly discover that the go-quick Regal was seriously underrated by the manufacturer. With a V6 inhaling through an intercooled turbocharger sporting as many goodies as the engineers could cram in there, the GNX’s 300 horsepower allowed it to annihilate contemporary Corvettes (and even some Ferraris and Lamborghinis) in a drag race, shooting past 60 mph in just 4.5 seconds. If that’s impressive today for a fairly large car, in 1987 this was both baffling and exhilarating. The GNX may look and sound like it’s got a bad attitude, but few cars can match its audacious performance.